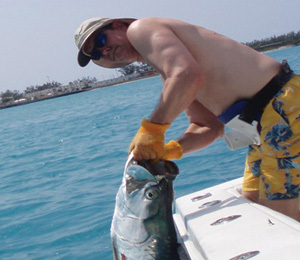 Light tackle fishing in Key West is something every serious angler should do while visiting. Key West is home of the third largest living reef in the world. It inhabits many different species of fish: Yellowtail Snapper, Mangrove Snapper, Mutton Snapper, Black Grouper, Gag Grouper, Red Grouper, African Pompano, King Mackerel, Cero Mackerel and the great Barracuda. The Reef is an excellent place to find the best table fair and non-stop action. When Reef fishing, we like to anchor up on different areas of the reef and use ground up chum and live bait. 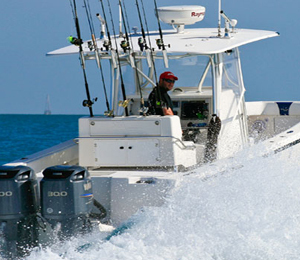 If you decide to try some reef fishing in Key West you WILL NOT be disappointed. Key West has hundreds of wrecks to choose from. Both the Atlantic Ocean and the Gulf of Mexico are loaded with wrecks holding several species of fish in Key West. Atlantic Wrecks are usually from 100' to 400' in depth. You are able to fish the surface of the structure for Tuna, Wahoo, Kingfish, Sailfish, Bonita, Barracuda and a variety of other Game fish. The most common and productive way to fish the surface is with live bait. We will also drop live bait and jigs to the bottom to catch Grouper, Snapper, Amberjacks and Yellow jacks. Wreck fishing makes for a mixed bag and it is not uncommon to catch a dozen, or more, different species in a single day. Key West Shark Fishing is also done here. Gulf Wrecks are more shallow and can also provide non-stop action for anglers. Gulf wrecks hold Permit, Cobia, Snapper, Gag Grouper, Barracuda and the very powerful Jewfish (Goliath Grouper). 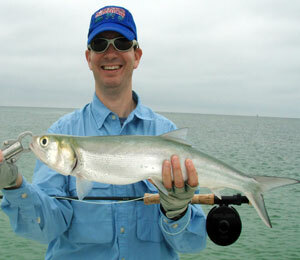 The Gulf is excellent to fish all year, but is best in March, April and May. 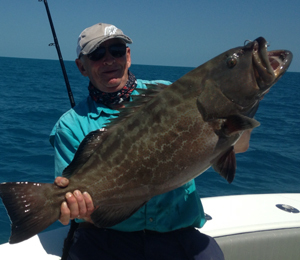 All of our Key West fishing charters can put you on some great tasting and impressive sized fish. 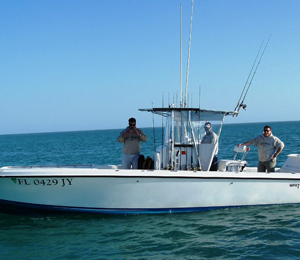 We offer split charters on our light tackle boat fleet, for $375 we guarantee your group gets off the dock. Your group can consists of one or two people and we guarantee no more than a total of four people on the boat. This allows you to experience the fun and adventure of live bait light tackle fishing. All of our boats are powered by twin outboard motors so you have the most amount of fishing time on the water, we spend less time coming and going and more time at the fishing spots. All of our boats have full private bathroom facilities in the counsel. 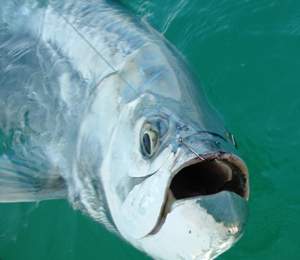 Come and experience the best fishing Key West has to offer, you will not be disappointed. 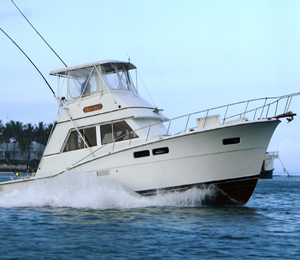 Our largest fishing boat, the Coolcast, is known as one of Key West's best fishing charter boats. Run by the expert Key West fishing Captain Mike LeDrew, there is no other fishing trip quite like the one aboard the Coolcast. While you can find a number of guides in Key West, you cannot find many like Captain Damon Santelli. Service, pride in his work, and his consistently caring nature are what make his charters stand out from the rest. 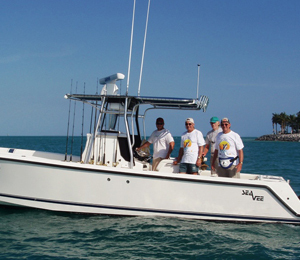 The Outcast is Captain Morehouse's 28' Whitewater fishing boat. This beautiful boat is powered by twin 200 hp Yamaha Outboard engines. You will find everything you need on board to enjoy your fishing excursion in style. In fact, when it comes to necessary items you will only need to bring a few things. The Ultra Grand Slam Key West Fishing Charters with Captain Craig Jiovanni is one of the best fishing trips in Key West. Captain Craig has been fishing in Key West waters since 1974 and has been a full-time resident since 1980. This means that Captain Craig has over 25 years of Key West fishing experience under his belt. Dealing with him means you are choosing a knowledgeable guide with a firm foundation and understanding of the area around him.